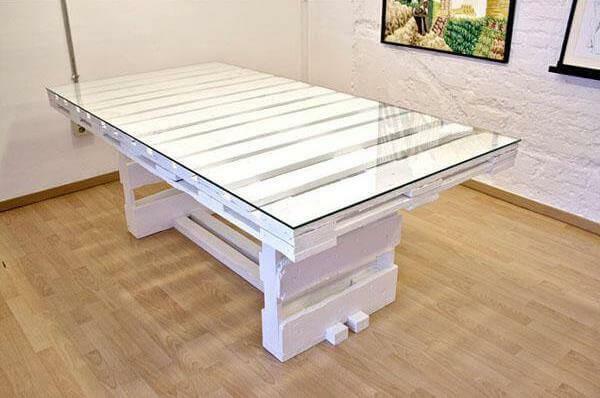 Table is one of the mostly pallet made furniture and comes with a variety of designs to suit your needs! 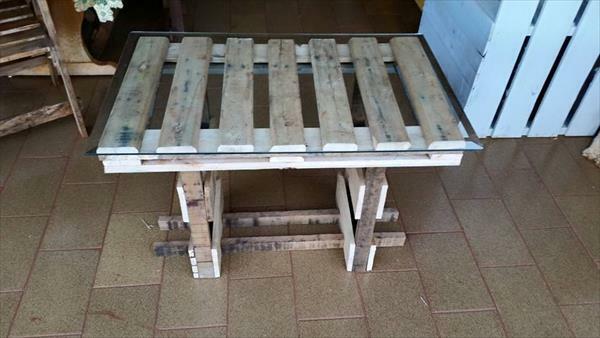 Pallets can be used in whole or dismantled form to construct beautiful tables types necessary for all functional routines of home! 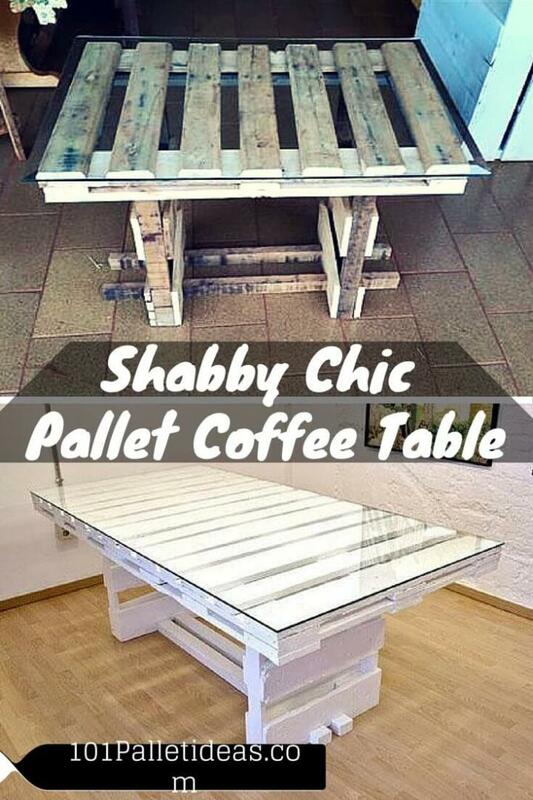 Look at this DIY shabby chic white pallet coffee table, built with both disassembled and whole pallet pieces! Top wooden section has been made by just the arranging the removed pallet slats over the base section while the legs of the table have been built from cut down lengths of original pallet boards! Cross beam support has been provided to legs to make the design more stable and lasting! To avoid weathering and for a shabby chic look, table has been painted in white and look alluring in it! Screws have been added for a powerful assembly of parts! Glass top finish really makes the table to look more elegant, delicate and industrial and really makes the whole design spell binding! Weathered look of pallet may come in handy to mimic those vintage inspired and retro styled furniture trends! Here is shabby chic and vintage coffee table to get some creative details about it! Table has been displayed in alluring white and you can also go with any of your favorite shade to get an eyepiece table for you living room! Glass top just makes it perfectly compatible to modern chic living room interior environments!